In January 2017, Emma found out she had been short-listed for the prestigious 'Creative Industries' Northumberland Business Award. 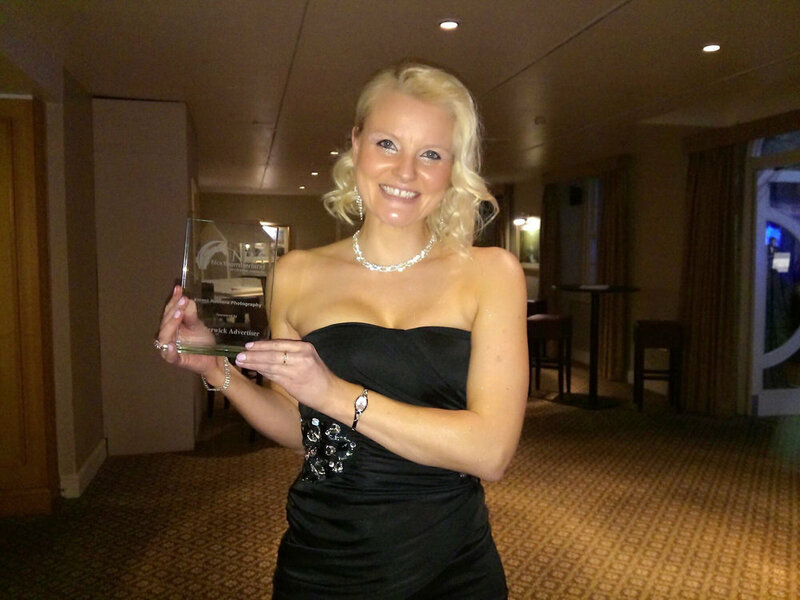 Emma attended the black tie award ceremony in early February 2017 at Linden Hall, Longhorsley, Northumberland where she was presented as winner of the award. The Northumberland Business Awards recognise and celebrate excellence within Northumberland. The awards, organised by the Northeast Press, publisher of the Morpeth Herald, Northumberland Gazette and News Post Leader, Tweeddale Press, publisher of the year, The Berwick Advertiser are now in their ninth year. Emma says "I was completely over whelmed to win the 'Creative Industries' Award for Business in Northumberland. It mean't so much to me as creativity is in every aspect of my business and my work"
Emma Rothera Landscape, Nature & Travel Photographer on the awards night after she won the 'Creative Industries' Northumberland Business Award 2017. Landscape, Nature & Travel Photographer Emma Rothera nominated for the 'Creative Industries' Northumberland Business Awards 2017.